The beauty of the 52 Ancestors challenge is how it is stretching my blog posts to cover some of my ancestors that I have been avoiding writing about. Previously I have procrastinated, become lost in research and struggled to write a post a month. It’s now week 7 and I haven’t missed a post. I’m incredibly pleased with myself and am venturing to write biographies of those I have some knowledge and yet not enough. It occurred to me that I should write more biographies about the women in my family and try to find their voices. Dorothy Aldington was my great grandmother. From what I can gather, she was fascinating and lived a very full life navigating the highs and lows that she was presented with. She was born in 1891 to Henry Aldington and Jessie Brown in Much Wenlock, Shropshire. Henry was a customs officer and met Jessie in Scotland while working in Falkirk. The family moved to Much Wenlock and lived there for the first five years (give or take) of Dorothy’s life. The family then moved to London prior to 1896. Henry & Jessie left London for NSW in 1909 with Dorothy, Ralph and Marjorie. Dorothy was 18. Thomas and Jessie arrived later. The family settled in Cremorne, Sydney. 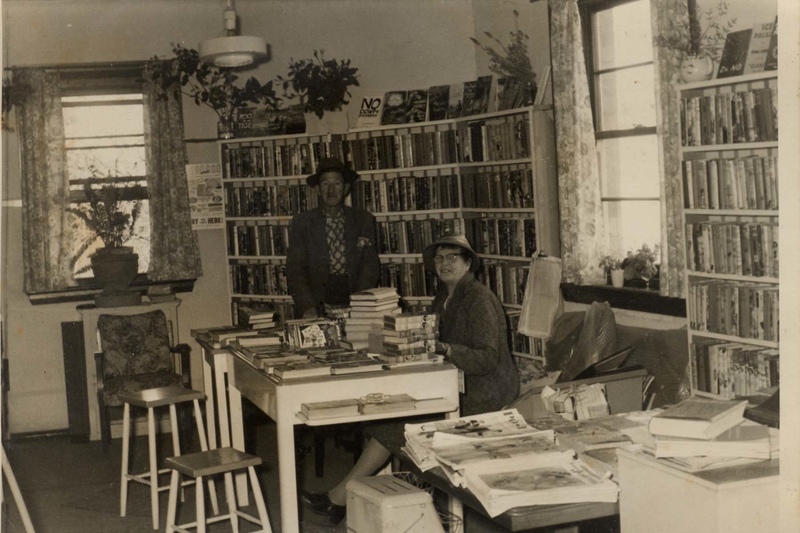 Dorothy and Fred settled in Fred’s hometown of Goulburn where he ran a General Store with his brother, Robert. Dorothy and Fred had two children and were married seventeen years. Fred died in 1938 after being ill with pneumonia. Fred’s will was finalised in 1941. By 1943, Dorothy was living in Bathurst Rd, Springwood. I am not sure where the family was living between 1938 and 1941 but can make some assumptions from what I have been told by family over the years. I believe that their daughter was boarding at school and that Dorothy and her son were living in the Blue Mountains near her mother. It is my understanding that Dorothy had little access to funds during this time. Her life had altered drastically. She was no longer a wealthy wife of one of Goulburn’s premier business men. She was a single mum struggling to support her children. 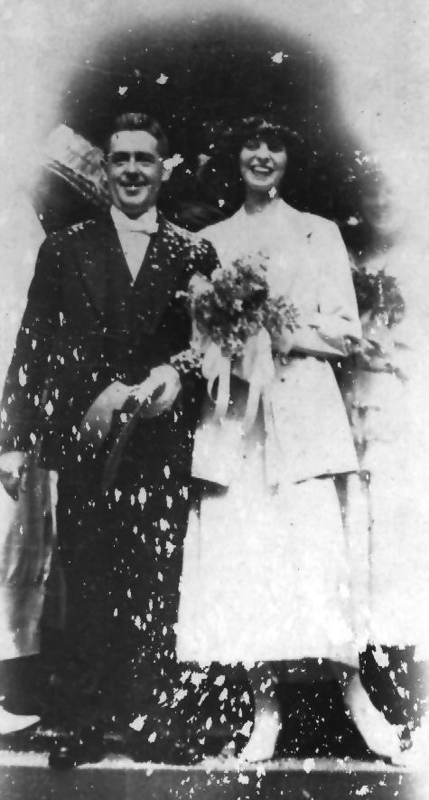 In 1949, Dorothy married Edward Joyce, known as Teddy in our family. The electoral rolls for this same year show Dorothy and Teddy living in Green Parade Valley Heights. There are three listings, two of which are for Dorothy. In one she is listed as proprietor. When I was a child, my grandparents lived at number 4 and Teddy lived next door at number 6. I believe that Dorothy bought Tusculum (as number 4 was named) with moneys she received from Fred’s estate. When I look for her through the documented facts, photographs and memories shared, I see a very modern woman. She was listed as one of the executors in her husband’s will, she was very active in Goulburn’s society, she was a volunteer and seems to have had a personality and intelligence that drew other’s and their respect. Dorothy died in 1966. I have not been able to find her obituary but do hope that one was written of her. I do not feel that I have done justice to her memory and perhaps that will be left to someone who knew her. For me, it impossible to express the affection that I feel for a lady I never met. Affection that has been passed down through the memories of her children (my grandfather and great aunt) and my mum, her granddaughter. This entry was posted in Aldington, Lemon and tagged Dorothy Aldington, Dorothy Joyce, Dorothy Lemon, Goulburn, Lemon family in Goulburn, Springwood, Tusculum, Valley Heights. Bookmark the permalink.